Today on the The Beauty Blogger, I'd like to talk about a natural ingredient that is highly beneficial in so many different ways: Rosemary. Rosemary (Rosmarinus officinalis) is a water-loving evergreen shrub and the oil used in skin care is extracted via steam distillation from the flowers on these shrubs. In natural skin care, Rosemary can help to alleviate puffiness and treat acne -- as well as various forms of dermatitis. I particularly like this oil for acne care, though, because it contains antibacterial and antimicrobial properties. It also has many wonderful properties for the hair and scalp. Rosemary is invigorating and many believe that it can promote hair growth, making it a natural alternative to harsh chemicals applied topically to the scalp. Rosemary doesn't just help the condition of your skin and scalp. Did you know that Rosemary Essential Oil also helps to keep bugs away? That's right! 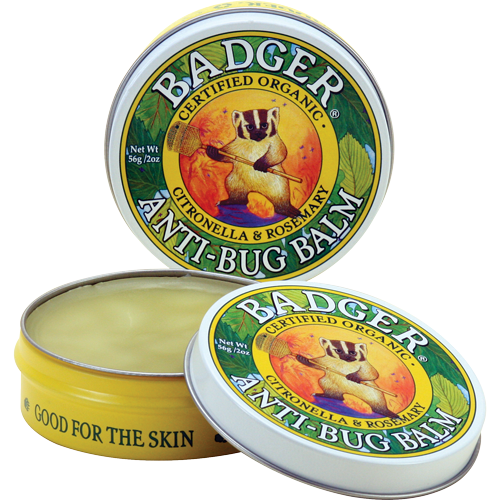 It's a key ingredient in Badger's eco-friendly, kid safe Badger Anti Bug Balm. This is the product I trust to use on my children. 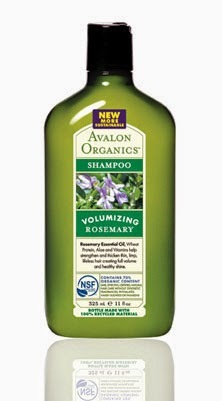 Avalon Organics Rosemary Shampoo has wheat protein, chamomile and vitamin E and helps add life to limp locks. It's budget-friendly, too. 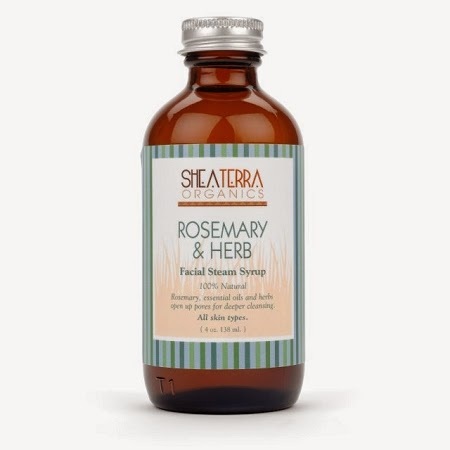 Shea Terra Organics Rosemary & Herb Facial Steam Syrup is a lovely at-home spa treatment to help you feel pampered. If you are acne prone and would like to help get some of the "gunk" out of your pores, this is a safe bet. 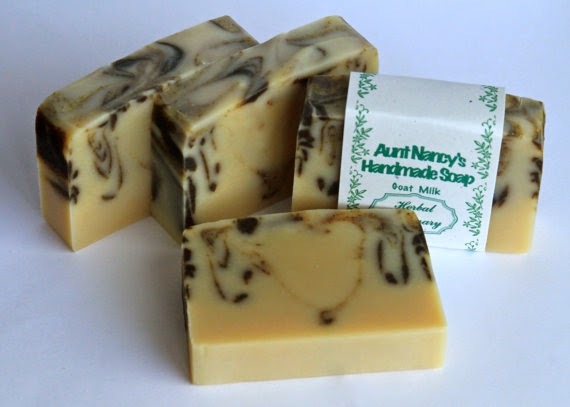 I have been telling you about Aunt Nancy's Handmade Soap now for seven years. I still have yet to find a better bar of handmade soap--in fact, there is no need to look anymore because I am a Nan Fan! Try her Herbal Rosemary soap-- it's a great bar for kitchen use and for gardener's work-roughened hands. I first told you about the next product nearly three years ago on this blog -- it's the Therapeutic Blend Body Oil from (seed). I am as smitten with it now as I was then. This is a truly light oil. It isn't going to leave a film on your skin. I love how it sinks right into my arms and legs and leaves my skin feeling like silk. It contains beneficial essential oils such as peppermint, ginger, rosemary and clove to help ease muscle soreness and help you feel invigorated. Tip: This even helps my husband's aching back. What are some of your favorite products containing rosemary? Share in the comments section below.